Hi there, just want to share a sight from a walk yesterday. 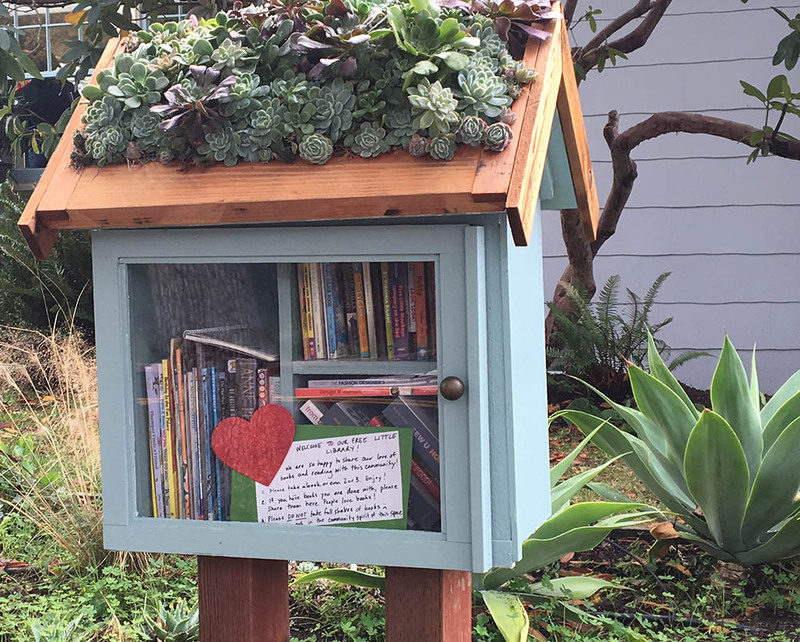 This is one of those free little libraries, but with an awesome roof composed entirely of succulents, on both sides. It’s off Colusa in North Berkeley. 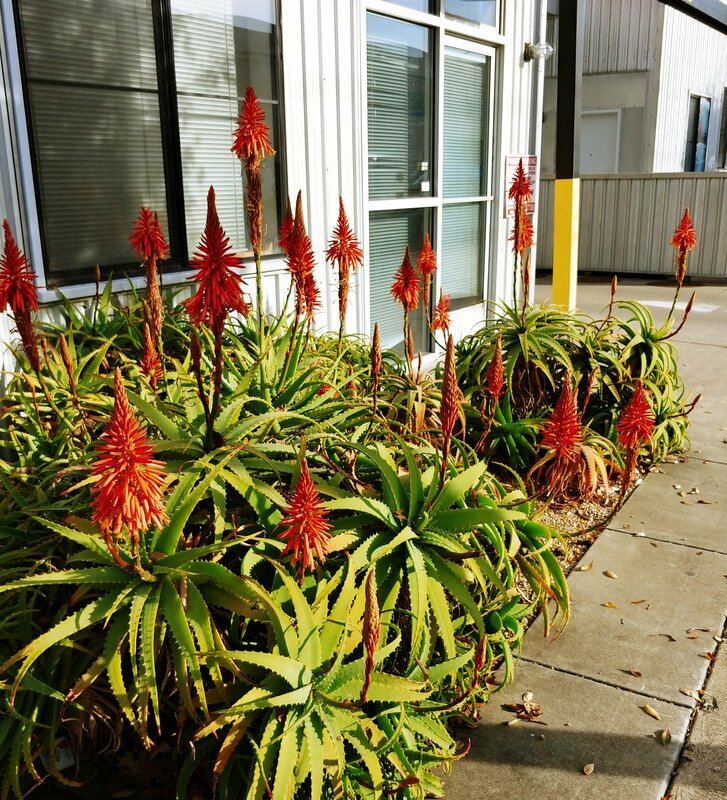 Oh, those winter blooming South African Aloes! They do come and bloom at an auspicious time of the year. 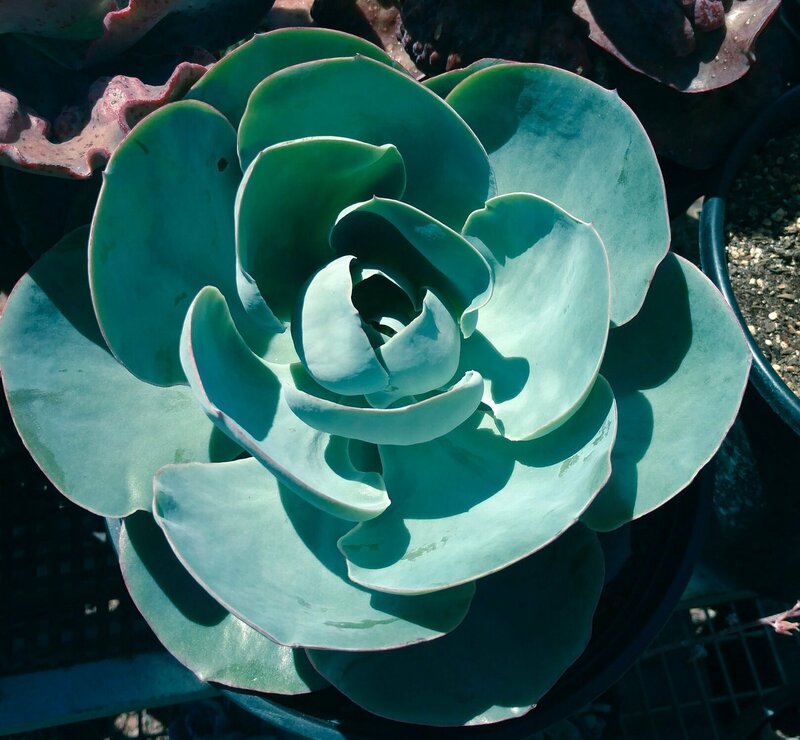 That’s an Echeveria “Blue Dude” right there! It’s an older style hybrid, so you know it’s back in fashion now. Hurry before it cycles back out. That’s a beautiful Echeveria subrigida in full bloom! It’s at the Farm Burger! 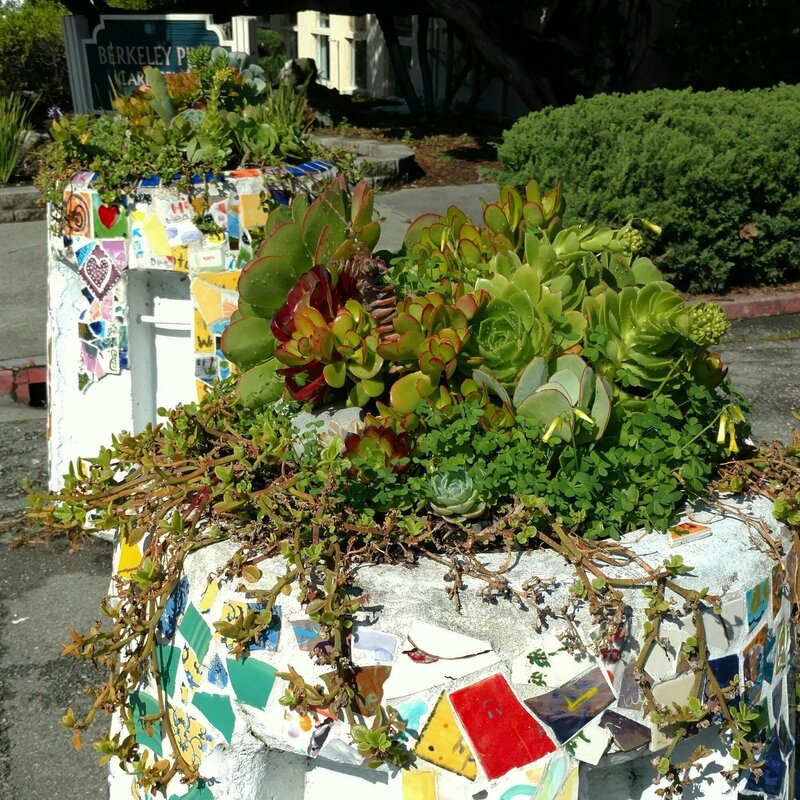 Tiled bollards and succulents on Ashby Ave, Berkeley between Shattuck and Telegraph. Aeonium arboreum cultivar in full bloom with lots of little yellow flowers! 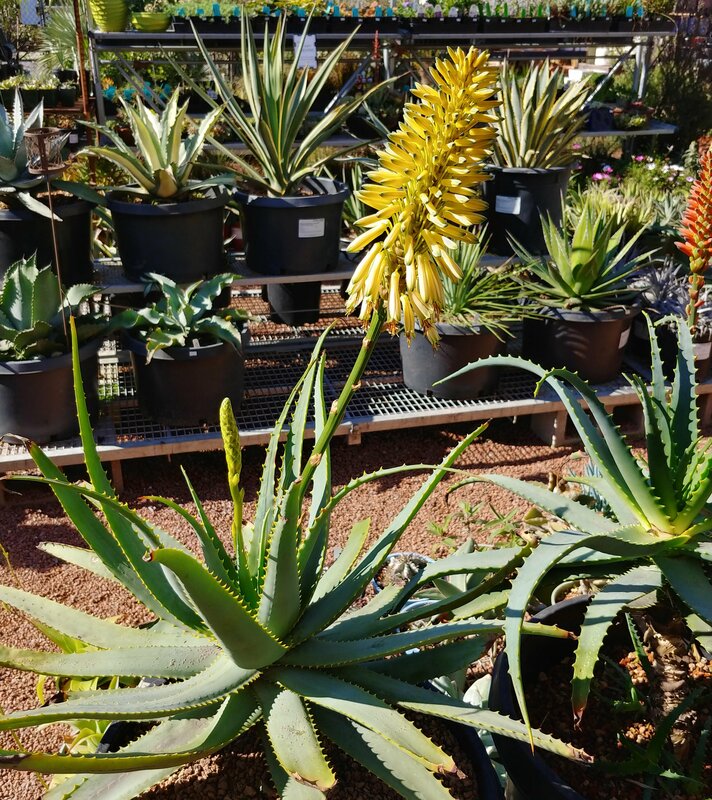 Aloe arborescens in bloom and Agave americana plus some spurges! 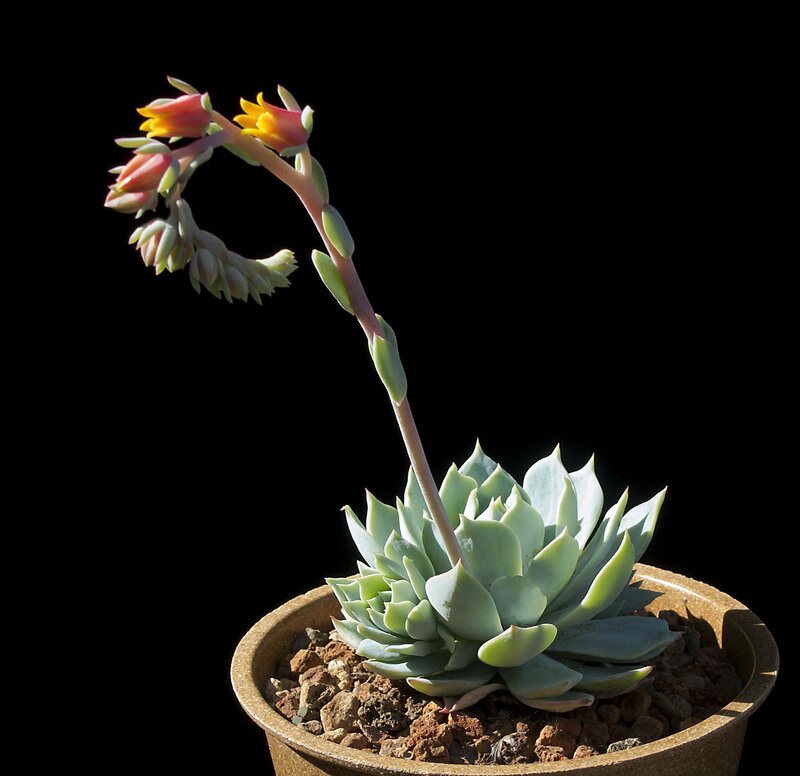 Echeveria glauca is the litte blue succulent with the big orange bloom stalk. 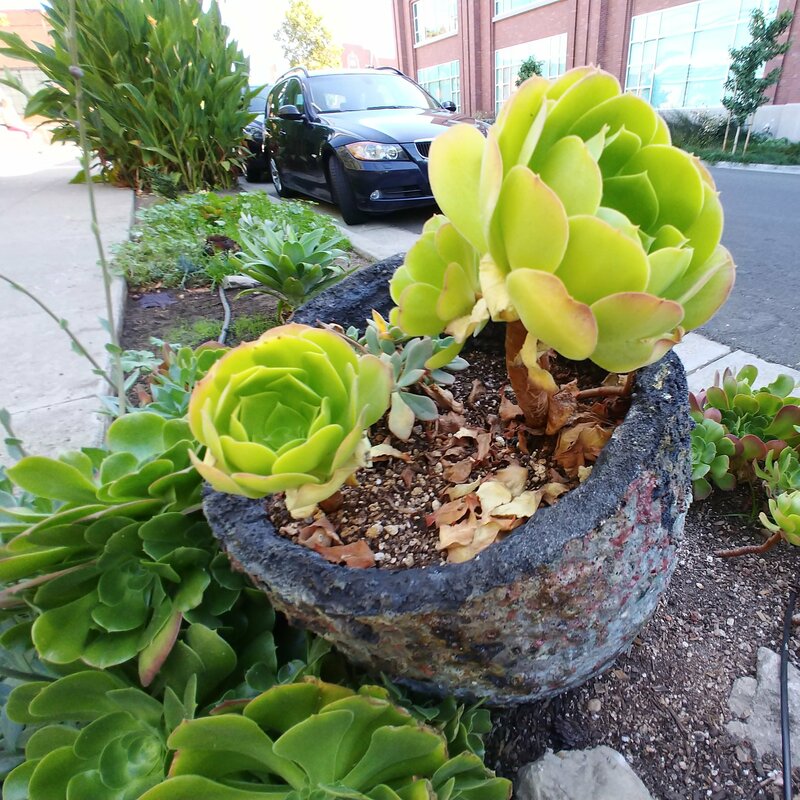 It’s small, it’s between the sidewalk and a brick wall, but it’s all succulent garden. 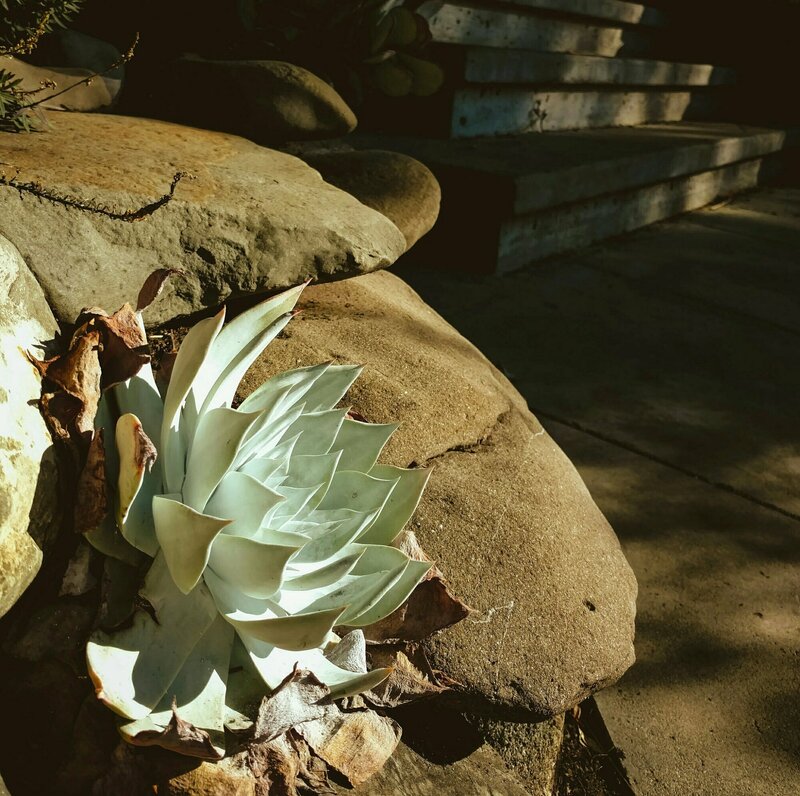 Actually a succulent. Hoya kerrii! 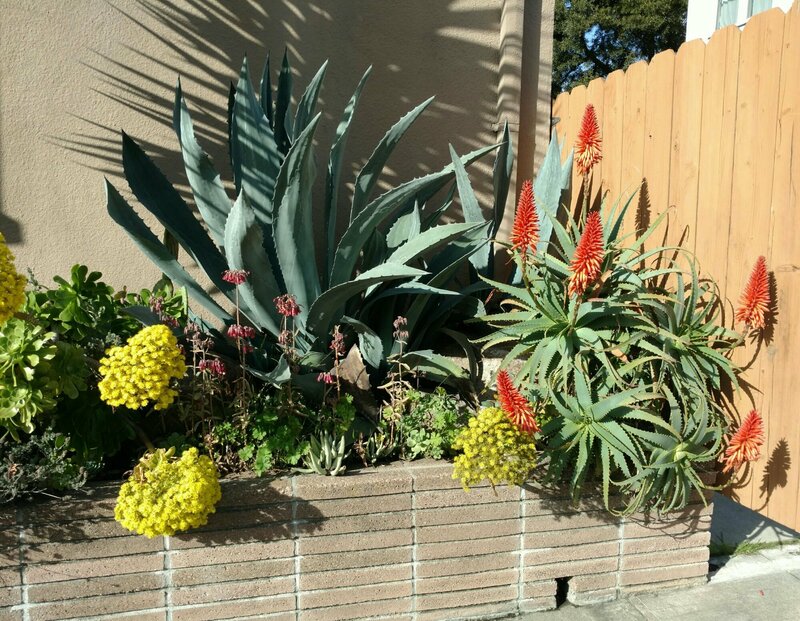 Aloe arborescens on 7th Street in Berkeley! Blooms everywhere. 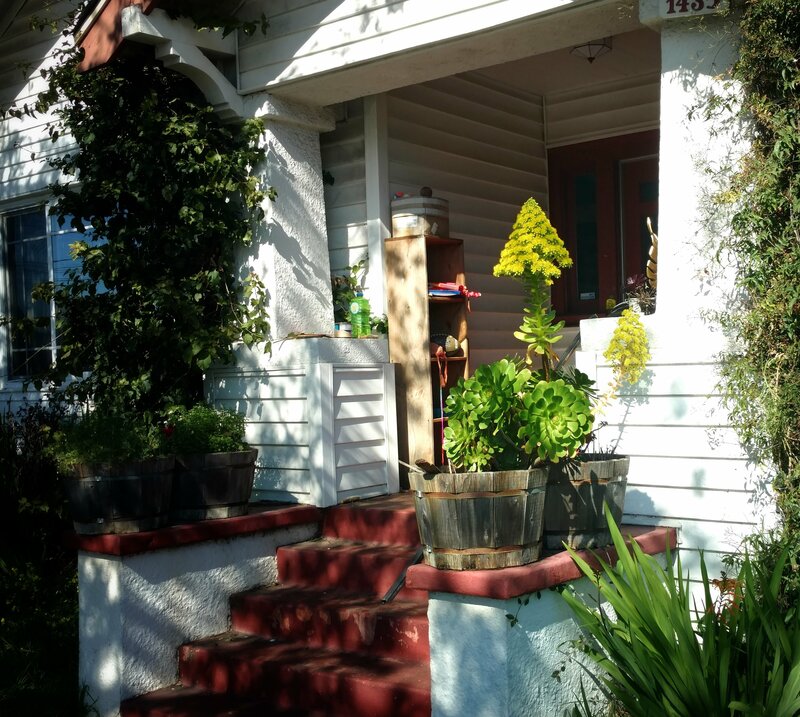 Alcatraz Ave., near the Berkeley/Oakland border. 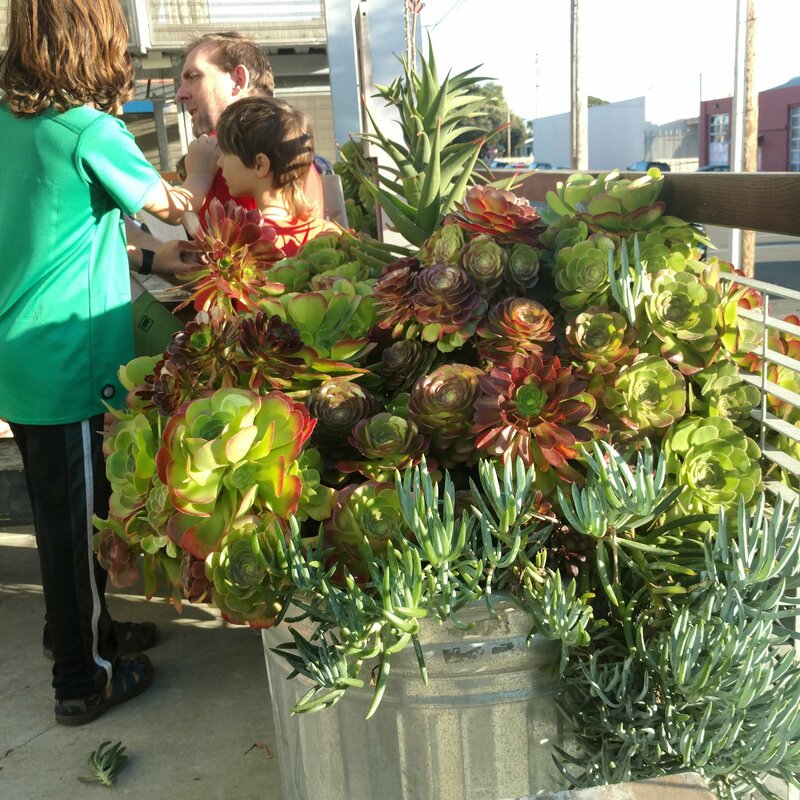 Looks like they left just enough space for this monster to grow full size before it impedes on the sidewalk and stabs a young bicyclist riding by. Anne’s got some work to do to make new ones! 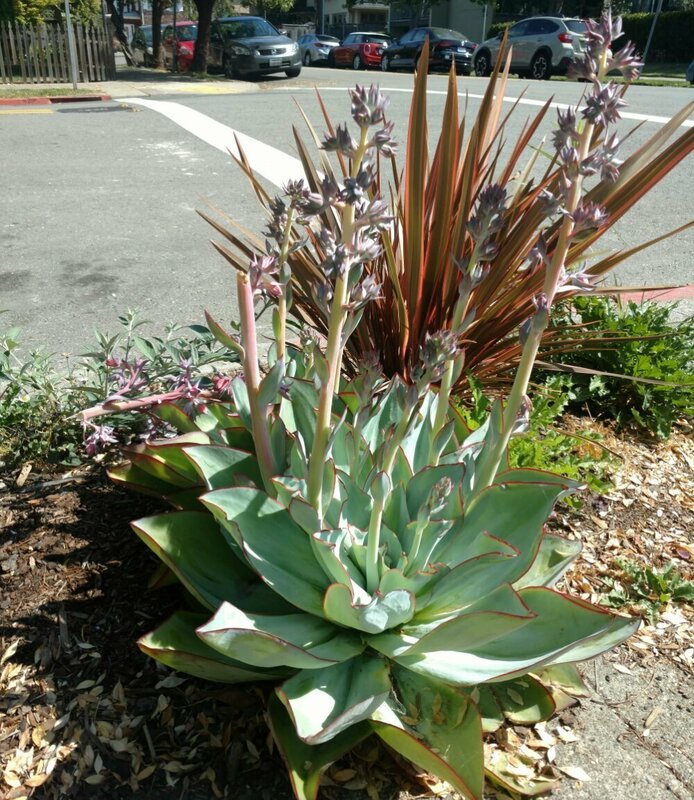 Agave americana on Channing Way in Berkeley. In the sidewalk strip? That’ll outgrow that so fast! Hopefully there aren’t any kids riding bikes near there. 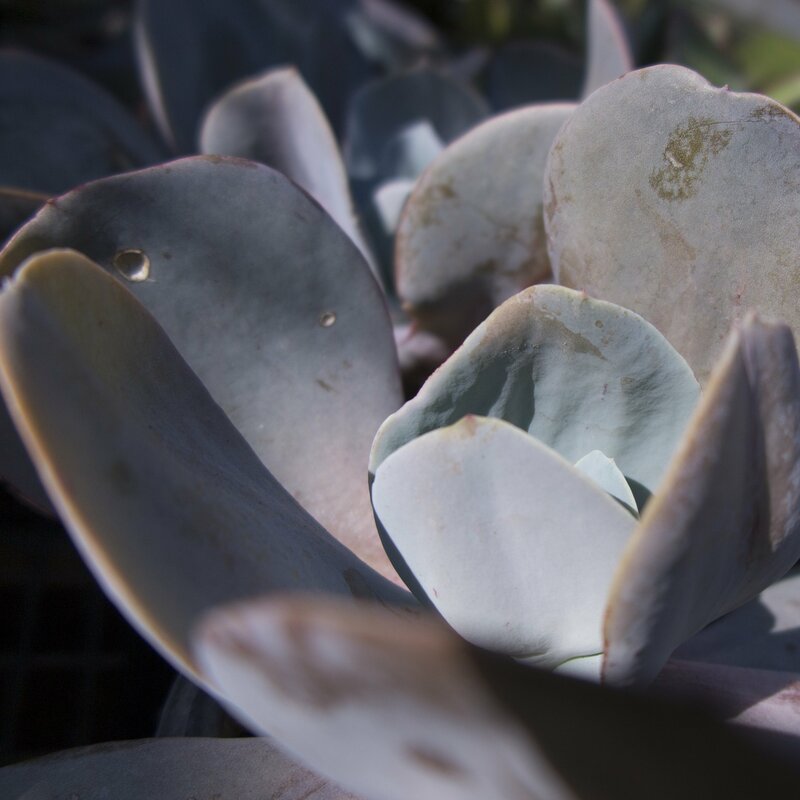 Wow that’s a lot of filtering going on in that photo of a mixed succulent terrarium with some sand design action too. In case you were wondering, I overused Snapseed in that there photo. Enjoy! Here’s a slightly less filtered photo of a Sarracenia minor. But only slightly less filtered! Shock. 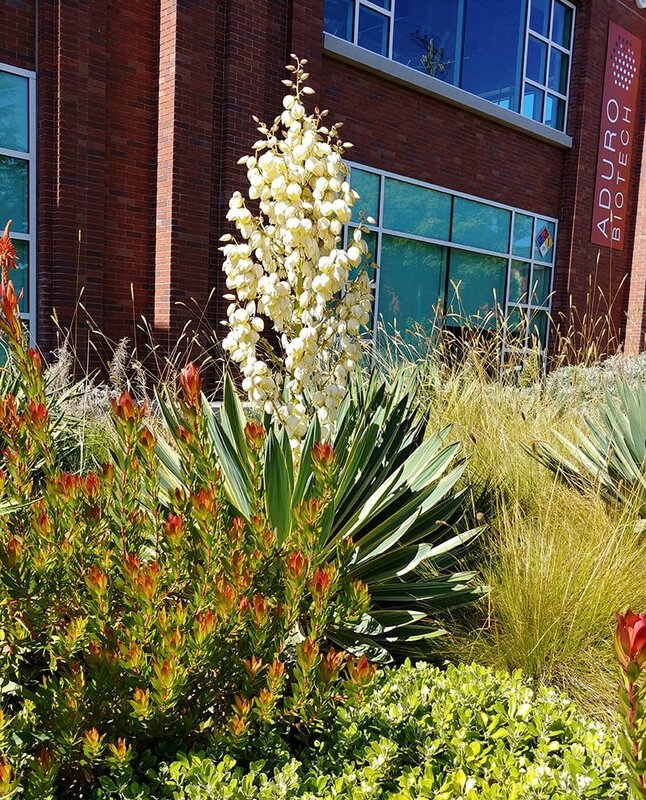 California Native forming 1 foot mounds. As seen at the UC Botanical Garden.